South Africa suffers from many ills, of which the greatest is arguably poverty only second to unemployment which is the root cause. This undoubtedly leads to increased crime rates and the social ills which spills over and affects so many South African lives. For this reason, safety and security concerns are in the minds of most citizens and are also the reason why House of Supreme has taken it upon themselves to create an impenetrable Security Shutters barrier. Surely your Security Shutters cannot be completely impenetrable? Okay, we’ll admit they are not completely impenetrable, only the solid steel doors of a castle in remote England built for war is probably impenetrable, but we are a very close second. We have completed endless hours of research and development in our factories to refine and rework known market norms and standards to create a product that is not only difficult to break through, but that looks better than anything else on the market. We are proud to say we have damn near perfected that. Our one-of-a-kind designed and manufactured security shutter is made with solid core recycled aluminium louvres unlike the hollow aluminium or plastic found on the market. Just tap on our shutter louvres, and you will hear they are solid right through, which is uncommon. Being recycled ours are “green” too. Our louvres are less wide at 50mm compared to the market norm of 60mm, and this triggers the question; “does this not make it less secure” the short answer is an emphatic “no”. Keep in mind our louvres are solid which means they need not be wider. To add to this, we can manufacture our louvres more narrow in size as a result of the solid core which combined with the width means our shutters allow in more daylight when open. Now that we’ve described how secure our louvres are let’s move onto the base, our frame. The saying rings true; a house is only as strong as the foundation its built on. Our aluminium frame has a rib of 2.5mm for additional strength. Our rib is on the inside of the frame to keep with our sleek style. In addition to this, we have additional strengthening points on the left and right side of the frame, making the installation more secure. Our bottom anchor points are secured with 11.5mm hardened stainless steel bolts and the top ones with 16.5mm hardened stainless steel bolts, again to add to the sturdiness of the frame, making it more secure. Just when you thought we were done, we added a few more security and strengthening features to our security shutters. We have hardened (tempered) steel rods leading into each Louvre which are hardened just enough not to bend and these secure the louvres to the framework. Our hinges have tapered down shoulders so that they can’t simply be punched through to remove the shutters from the frame. Our cylinder is also flush mounted so it can’t be tampered with. Our mid–rails and divider rails can be placed at any height in the design to separate top and bottom louvres and again add additional stability to our shutters. The tilt rods connecting the louvres is also on the inside of the unit, again to prevent it from being tampered with. Then we also have a special tension bolt which can be tightened as required to keep the louvres secure and prevent them from becoming “floppy”. All our frames contain no ribs and no U-channel that is visible, meaning you can’t use a screwdriver to pull the frame apart from the rest of the product. 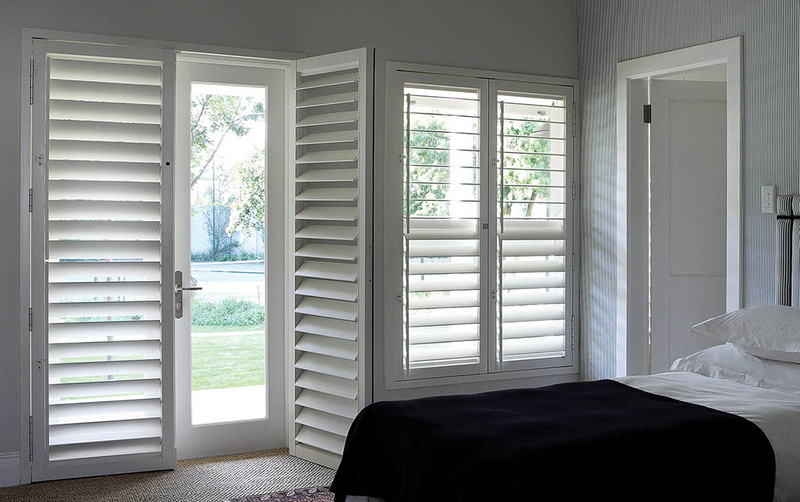 As you can see our security shutters have features that are unique to the market and have been applied through many years of research and development to provide you with a more superior and secure product. Stay tuned to read about our patented locking system in our next blog. This entry was posted in Security Shutters and tagged aluminium security shutters, Security Aluminium Shutters, security shutter, Security Shutters.